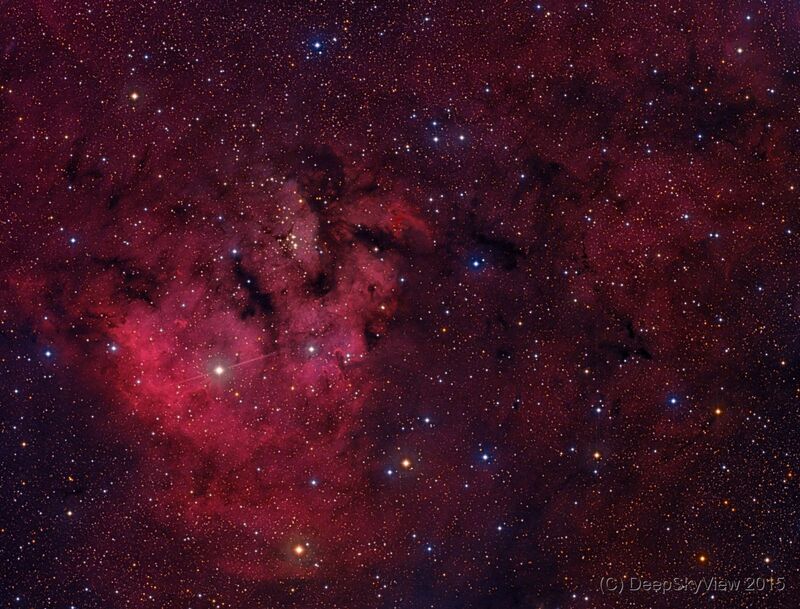 This is NGC7822, a young and star forming region in Cepheus, also containing Sh2-171. Usually a target for false-color narrowband imaging, which nicely highlights the structures and pillars within the cloud. This, however, is a pure LRGB image in ‘natural’ colors. During processing I reduced the green component somewhat, which leads to a cooler colour temperature with less yellowish stars. Moreover, I tried to keep the stars small while chiseling out the structure of the nebulosity using a variety of star masks.